I was shopping at a branch of Tesco the other day and while passing the very small book section I took this snap. I stared at the display for a moment and realised that I had met all but one of the chaps depicted on the covers. I’ve never met Russell Brand, but they are all very amusing people who’ve lead fascinating lives. Anyway I’m not saying my books aren’t selling because they are, it’s been a great experience writing them and I’ve had amazing feedback from readers. However News from Gardenia is not on display on Tesco’s shelves. It’s too niche, it’s science fiction and it doesn’t have a picture of someone who’s been on the telly on the cover. 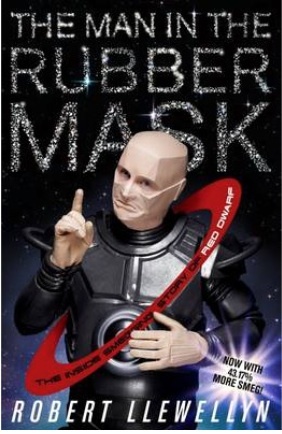 I have written a kind of autobiography already, The Man in the Rubber Mask, the definitive history of behind the scenes on Red Dwarf from 1988 to 2013. That's not in Tesco's either! So I am now sketching out the beginnings of a book which will have my grey haired old mug on the cover, a kind of autobiography with a twist. And that’s what hit me when I saw that Tesco book selection. An autobiography with a twist is not what they want. I’m trying too hard, I’m trying to be different, foolish move! Tesco book buyers want a big picture of big Jezza with a short catchy title and some writing between the covers. I would not hesitate to say that all the books pictured would be good reads, big Jezza is a very funny writer, Stephen Fry is a wonderful writer, I don’t care what Terry Pratchett has written I know it will be brilliant, Paul Merton is damn clever and funny, lovely Graham Norton is witty, insightful and honest and even mad, bad and dangerous to listen to Mr Brand is anything but boring. So I’m not slagging off their books, I’m only pointing out the very narrow band of writers that get the honour of being displayed in that fountainhead of literature, the Tesco book section. Yes, they’re Christmas presents, an easy buy for that awkward uncle/dad/brother/son who doesn’t need socks. So I’m now re-planning my not-quite-an-autobiography blockbuster, I’ve got it. It’s all about the cover.